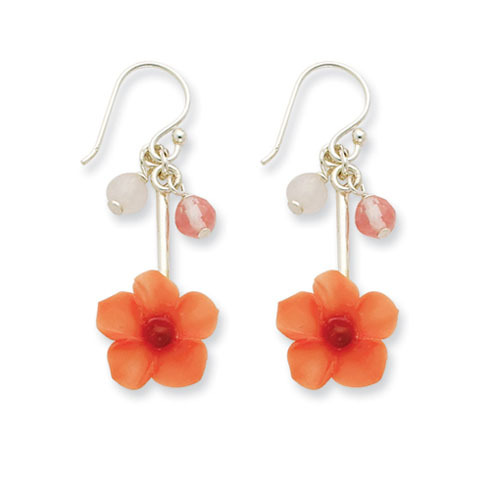 Sterling Silver Rose/Cherry Quartz & Carnelian Dangle Flower Earrings. Weight:1.6 grams. Measures 1 3/8 inches tall.